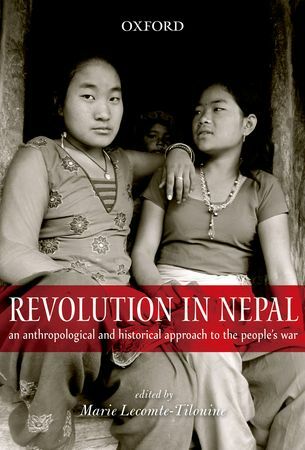 Delhi, Oxford University Press, 2013, 448 p.
Revolution in Nepal is a comprehensive study of the People's War in Nepal that was waged by the Maoist party. The chapters are based on extensive fieldwork conducted at the grass-roots level, covering the country's rural areas from Khotang to Jumla, before, during, and after the revolutionary movement. They focus on village life and its micro history under Maoist control. The volume also examines the War's antecedents, such as the anti-Rana and anti-Panchayat movements, and the various ways in which the Maoist revolution developed in the country's rural areas. Thus, with an anthropological and historical approach, it presents an account of the impact of the People's War in the country. By doing so, it reflects the revolution brought about in the conception of Nepalese history, which is now commonly presented as a series of uprisings.